LEAD JUDGMENT: OLUKAYODE ARIWOOLA, J.S.C. (a) An order of Court setting down this suit under the “Undefended List”. On 25/10/2011 when the matter came up for hearing, being an exparte application, it was undefended but the Court refused the reliefs sought to place the matter on the Undefended List of the Court. Instead, the Court ordered the claimants (respondents) to file their statement of claim and frontload accordingly as required by the rule. The statement of claim and other processes were later filed and duly served on the defendants, (hereinafter called appellant but they did not file any defence to the claim. On the 5th of January, 2012, the respondents filed a Motion on Notice for an Order entering judgment in favour of the claimants seeing as the appellants had failed or neglected to enter appearance and file their statement of defence. Upon service of the application for judgment on the appellants on 7th February 2012, the appellants filed an application on 21st February 2012 for extension of time to enter their Memorandum of appearance and file their statement of defence etc. Yet, the appellants failed to file the said processes to show that they were actually desirous of defending the action. 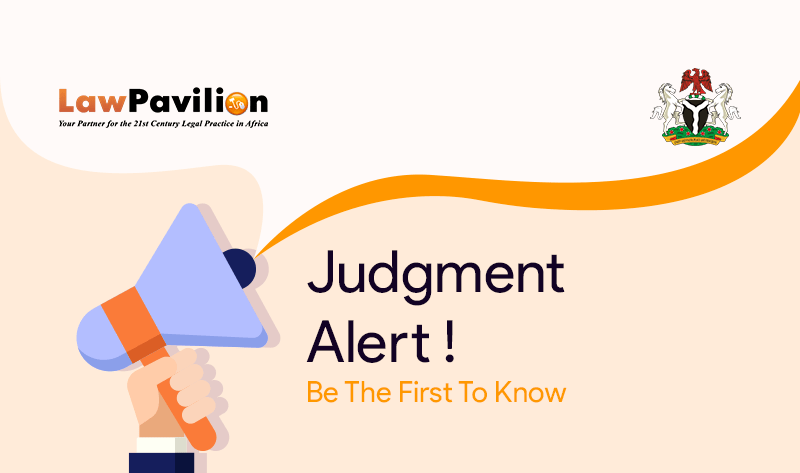 On the 15th June 2012, the respondents again filed another application for judgment in default after the time extended by the Court for the appellants to regularize had expired. Instead of considering the application for judgment, the trial Court in its wisdom ordered that trial be conducted and Pre-trial process was ordered, and it took place. On 12th December 2012, both parties were represented by counsel and the matter was adjourned to 13th February 2013 for the pretrial conference to commence. On the 5th June 2013, the sole issue as determined and filed by the respondents was adopted by the conference and the case was adjourned to 4th July 2013 for hearing. When the matter came up for hearing on 4th July 2013 both parties were adequately represented by counsel. Mrs. J.C. Ibe, the Chief State Counsel was for the appellant. While S. O. Ejiogu Esq., with S. I. Uwade Esq., represented the respondents. The respondents opened their case by calling the 2nd respondent as PW1. He adopted his depositions made on 17th November 2011 as his evidence. He tendered Exhibits A,B,C,D,E,F,G,H,J,K,L,M,N,O, P,Q,R,S,T,U,V,W, W1-W6, X Y, Z and they were admitted as claimants documents. It is noteworthy that the witness was not cross-examined by the appellants’ counsel in Court, and the Court recorded cross-examination for the witness as NIL. The matter was adjourned to 25th July 2013 for the defence. The learned counsel for the appellants – Mrs Ibe wrote to Court on the next adjourned date for yet another adjournment on the ground of ill health. When the claimant’s counsel had no objection, the application was granted, and further hearing was adjourned to 24th September 2013 for defence. The matter suffered yet another adjournment on 24th September 2013 due to the absence of the learned counsel for the appellants. The matter was adjourned to 12th November 2013 for defence. Upon realizing that the defendants did not file any defence, even though they were represented by counsel, who urged the Court to allow her to address the Court, the defence was foreclosed pursuant to Order 30 Rule 13 and matter was adjourned to 19th December 2013 for addresses of counsel. The application was moved and considered. It was accordingly dismissed. Address of counsel was taken. While the claimant’s counsel’s address earlier filed on 12th November 2013 was adopted, the learned counsel for the appellants addressed orally. Judgment was adjourned to 11th February 2014 when it was given in favour of the claimants. Being aggrieved by the judgment in favour of the Claimants, the appellants then to appealed to the Court of Appeal on four (4) Grounds of Appeal. All the issues distilled were resolved against the appellants having been adjudged lacking in merit, the appeal was dismissed. Further aggrieved, the Appellant appealed to the Supreme Court. Whether the Court below was right in upholding that the refusal of the appellants’ application for extension of time and leave to defend the suit did not deny the appellants their constitutional right to be heard in the matter. On the whole, the Court found no merit in the appeal and accordingly dismissed the same. CONSTITUTIONAL LAW- RIGHT TO FAIR HEARING: Whether a party who had an opportunity of being heard but did not utilize it can bring an action for breach of fair hearing. CONSTITUTIONAL LAW- RIGHT TO FAIR HEARING: Need for the principle of fair hearing to be invoked with every sense of seriousness and in appropriate settings. PRACTICE AND PROCEDURE- PRELIMINARY OBJECTION: Whether a party can argue his preliminary objection in his brief without filing a separate notice. APPEAL- FRESH POINT(S) ON APPEAL: Whether the Supreme Court can pronounce on an issue not raised at the Court of Appeal.